Managing risk at an enterprise level can be challenging. Meeting regulatory obligations, satisfying insurance company’s expectations as well as addressing internally generated demands for risk identification and mitigation takes a well organized and operational team. SBN’s enterprise risk management software has been designed to help. We have created mobile enterprise apps that allow users to identify risk as the organization defines it in our enterprise risk management (ERM) software and set a schedule for assessing the different elements of risk. 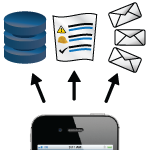 Our ERM software with the supporting mobile enterprise apps is easy to configure and easy to use. Step one is identifying risk to the organization. Assume an organization owns a building and they want to ensure the fire systems are properly maintained so it works when needed. Step two is entering the specific elements of the systems that need to be inspected and how frequently they need to be inspected. Step three is heading out into the field with a mobile device equipped with our ERM software and documenting the inspection electronically. 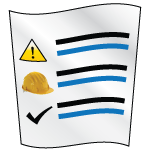 An exception report can be generated for each element of risk identified. Corrective actions can then tracked to resolution. With SBN’s enterprise risk management software, an organization can rest assured that risk is being identified, monitored and resolved.